Cyrodiil is the Imperial Province of the Empire in Tamriel in the fantasy world of The Elder Scrolls created by Bethesda Softworks. 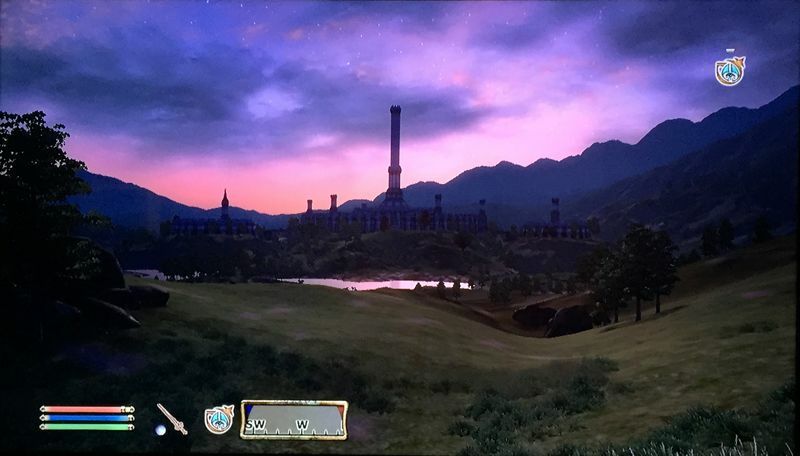 In the fourth installment of The Elder Scrolls (Oblivion), the majority of the game takes place in Cyrodiil (basically everything that's not the realm of Oblivion or The Shivering Isles). Cyrodiil is a magical place full of treasures, deep caves, ancient Ayleid Ruins, farms overrun by Goblins, Daedric shrines, bandits, and castles. There are 9 major cities in Cyrodiil: Anvil, Bravil, Bruma, Cheydinhal, Chorrol, Skingrad, Leyawiin, The Imperial City, which is the capital of Cyrodiil, and little Kvatch, which is obliterated at the beginning of Oblivion by Mehrunes Dagon, the Daedric Prince of Destruction, when he opens a portal between Cyrodiil and Oblivion. Listing to the Oblivion soundtrack by Jeremy Soule instantly teleports me back to soaring through the hills of Cyrodiil as my Master of Acrobatics springs into the air with the Boots of Springheel Jak.